Robert Fox, an emeritus Vanderbilt professor who was renowned internationally for his landmark studies of human and animal vision, died Dec. 12. He was 86 years old. 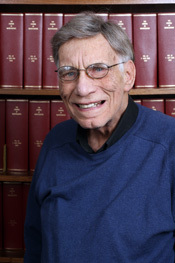 Fox, professor of psychology, emeritus, died at Vanderbilt University Medical Center after a short illness. A memorial service is being planned for early spring. A Cincinnati native, Fox studied at the University of Cincinnati, earning his bachelor of arts in 1957 and his doctorate in 1963. He then joined the Department of Psychology, where he established a research program on visual perception. He also held appointments in biomedical engineering and the Vanderbilt Kennedy Center. Fox enjoyed decades of continuous grant funding and his papers were published in the very best journals in his field, including Nature, Science, Journal of Experimental Psychology and Vision Research. He and three colleagues were the first to show evidence that depth perception emerges at 3 ½ to 6 months of age in humans. Fox’s work combining vision and neuroscience stimulated interest in the phenomenon of binocular vision and efforts to better understand and treat visual disorders. “Fox’s reputation attracted other vision scientists to Vanderbilt’s faculty, leading to formation of a research team that catalyzed into the Vanderbilt Vision Research Center,” said Randolph Blake, Centennial Professor of Psychology and professor of ophthalmology and visual sciences. Fox was a charter fellow of the American Psychological Association and an elected fellow of the American Association for the Advancement of Science and the American Psychological Society. He became an emeritus professor in 2012. The next year, the Department of Psychology established and endowed the Bob Fox Award for Excellence in Post-Doctoral Research, honoring his essential role in guiding decades of vibrant growth by the Psychology Department. Fox maintained an office and research laboratory on campus until his death. Other interests included his family, Vanderbilt athletics, chess, and classical and jazz music. Fox is survived by two children: Jenny Wells, of Narberth, Pennsylvania, and Dean Fox, of Lebanon, Tennessee; Dona Tapp, a longtime close friend, of Nashville; five grandchildren; and one great-grandchild. Please email Randolph Blake if you would like to be notified of the date for the memorial service. 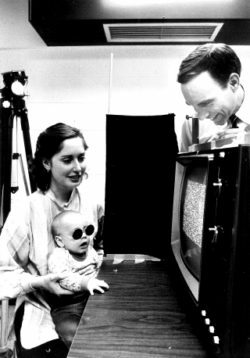 In addition to his many contributions as a vision scientist, Bob was a loving father and doting grandfather. He is survived by a daughter, Jenny Wells of Narberth, PA and a son, Dean of Lebanon, TN, a long-time close friend, Dona Tapp, of Nashville, and five grandchildren and one great-grandchild.